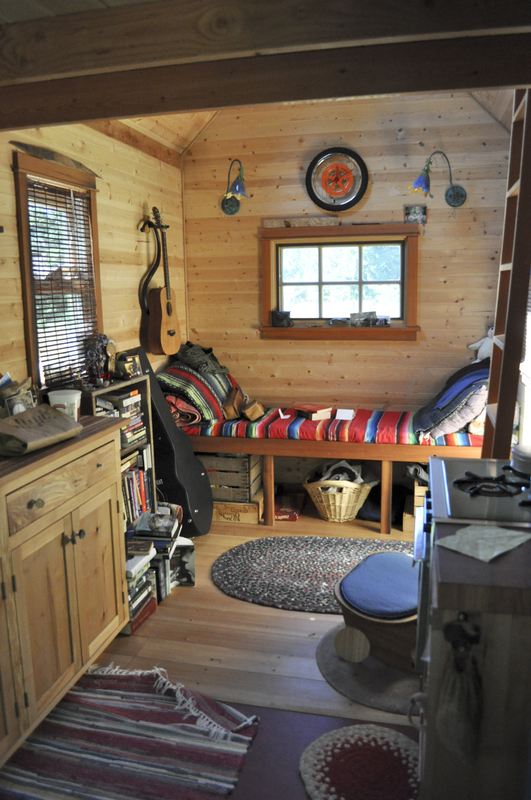 Tiny House Interior, Portland, Oregon, 2010. Creative Commons image gratis Tammy via Wikimedia. Over the years, I’ve ‘experimented into’ many of the things I write about, or that seem possibly worthwhile for shifting away from toxic-culture norms and back into a healthier way of living. Some of these experiments worked well. Some of them didn’t work so well (and for a few, “didn’t work so well” is an understatement!). But I learned something valuable from each of them. In recent years, I’ve experimented with variations in radically simplified living. My lifestyle was never over-the-top McMansion-esque, mind you, but there was a lot of room to simplify, and I was nudged along by challenges casually passed along by one of my most respected elder-mentors, and a few more ‘encouragements’ from Life herself. My most recent pseudo monk-in-the-world Hermitage experiment showed several of the real benefits of much-simplified living and ‘overhead’, as well as some of the drawbacks — at least for this particular experiment with it. And I’m about to move along to the next variation of my simplified, values-aligned experiment, weaving in the lessons from this one to create a more fine-tuned experience … still small-scale, still simplified, but a bit more refined (I swung the ‘radically simplified’ pendulum a bit too far for my tastes!). So I really enjoy reading about how others undertake these truly creative and courageous experiments with low-eco-footprint lifestyle changes, simplified living, and stepping away from consumption-addictions. These are people who are really living it, not just dabbling with a backyard hut because it’s a cool trend, and I have a lot of respect for that. 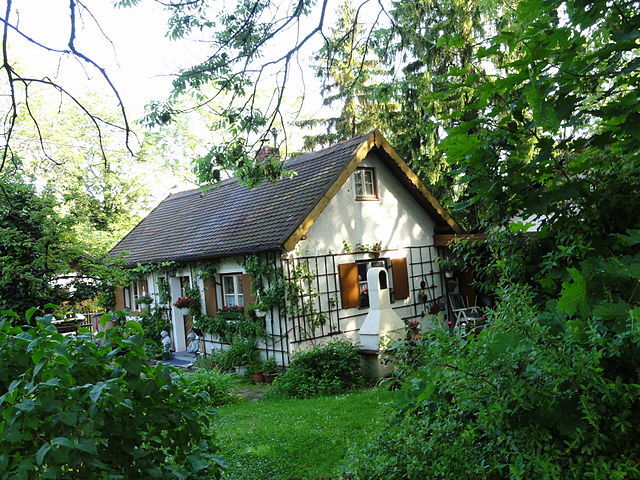 München, Franz-Eigl Weg Kleinhaus, 2011. Public domain image courtesy of Mattes via Wikimedia. In Managing Miniaturization (Tiny House Blog), we see one experiment into the micro- or simplified-scale living that disentangles from over-the-top consumption (which, let’s remember, used to be the nickname of a disease). In this Tiny House Blog feature, architect Matthew Hofmann shares his choice of salvaging and restoring an Airstream caravan for his commitment to a “what’s essential, what’s enough” lifestyle, living and working well in a rather lovely 160 square foot space. Yes, that’d be tiny compared to the ever-larger average-sized American home (though in other places, small and tiny are still ‘normal’). “Living and working in a tiny space is unabashedly taking the minimalist route. It says, “This is enough for me. I don’t need more, so I won’t take more.” It’s respectful of resources. The way we view space reveals our priorities. What are yours?” ~ Matthew Hofmann, Tiny House Blog. What are some of your experiments — tiny, small, or large; dreamed-of or already underway — to align your life more fully with what you value and ‘stand for’ most? Maybe he would be willing to design and build the dream camper. Love the spirit in your words.